Dante Alighieri is widely considered one of the greatest poets in history, and his epic poem, La Divina Comedia, is one of our greatest works of literature. The Inferno, a description of the Christian representation of Hell, is the first of the three components of the Divine Comedy, the others being Purgatorio and Paradiso. Dante captures alienation and despair in mid life perfectly, and his harrowing description of his descent into the nine (9) Levels of Hell is a searing evocation of the pain and trials that accompany the point where we too lose our way in our journey. 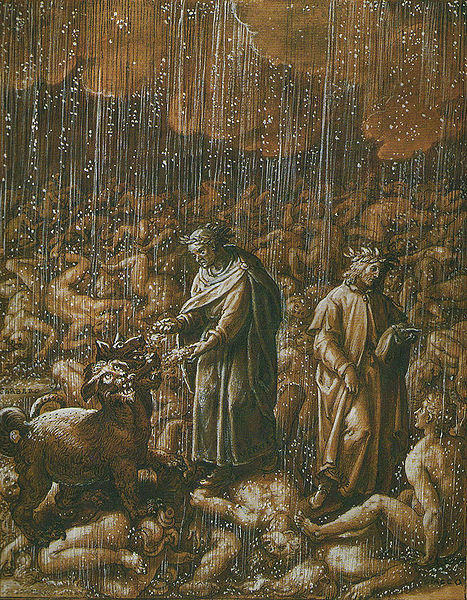 To find our way back – back to our souls, as represented in Paradiso – we, like Dante, must go through Hell. We must experience the death of our “Ego” selves, of hubris, to reunite with the divine.